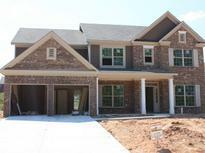 Find Alpharetta, GA New Homes for sale. View Photos, Maps and MLS Data Now! Hanover Place - Hardwoods On First Floor, Fireplace In Family Room. Sunroom Off Kitchen, Granite MLS#3125831. Re/Max Center.